Trainer Workout is the best technological partner and workout app any personal trainer can ask for. Our workout tools allow you to upgrade your personal training business seemlessly all the while making it easier on you. Trainer Workout is mobile friendly and works on all devices allowing you to maintain your lifestyle and achieve work balance without any compromises. 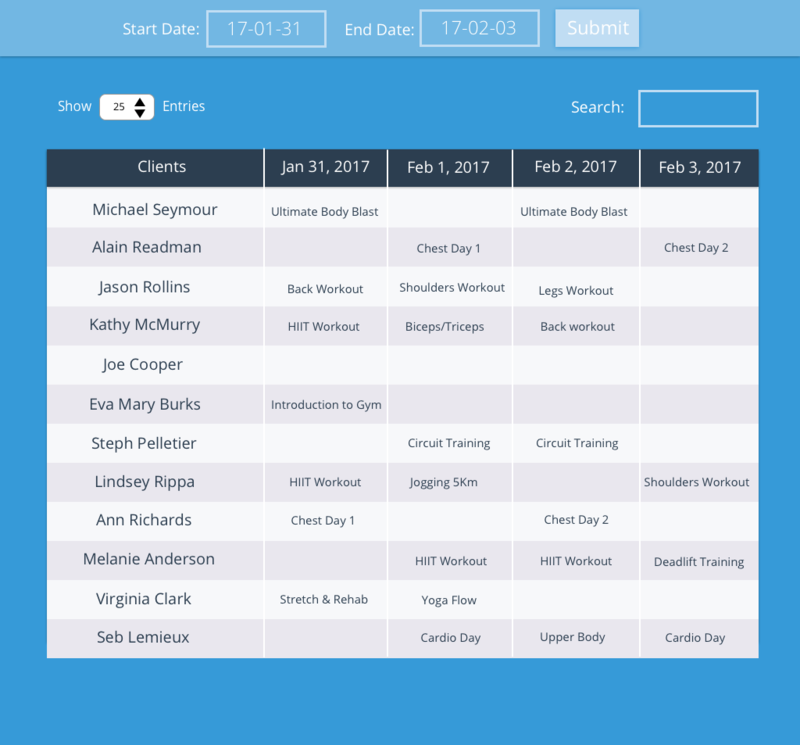 Our workout builder tool along with other persontal training client management tool keep you informed & proactive from whenever you are. Trainer Workout gives you the option to invite your personal training clients to the workout app at no extra cost. 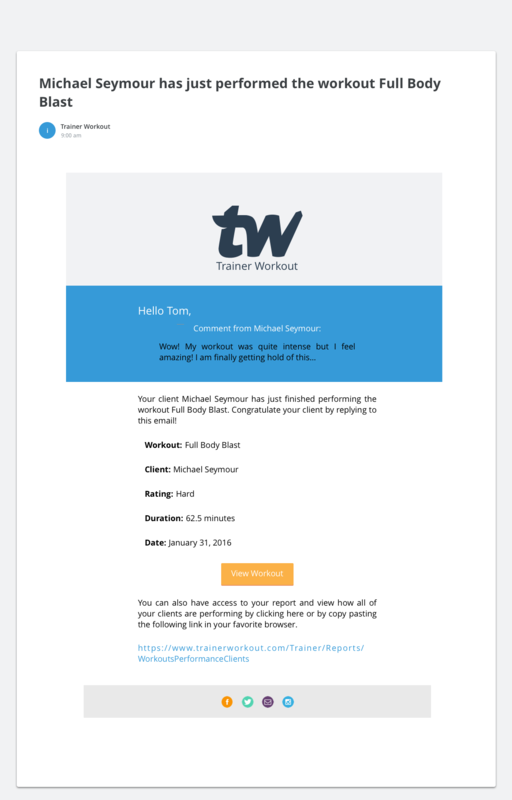 That way your clients can also benefit from using Trainer Workout. Your client's account will display your own personal branding offering them a customized experience that you have created. A file for each of your clients to keep track of their progress and remain updated. Trainer Workout software offers you a series of personal trainer tools designed to help you save time and offer the best service for your customers. Create workouts, using our exercises database of over 2,500 professional exercises is easier than ever and this will offer you complete control on how you want your clients to perform their workouts. You can always add your own exercises at any time. 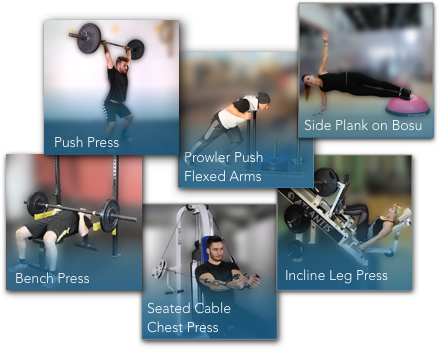 Create and customize workouts the way you want. 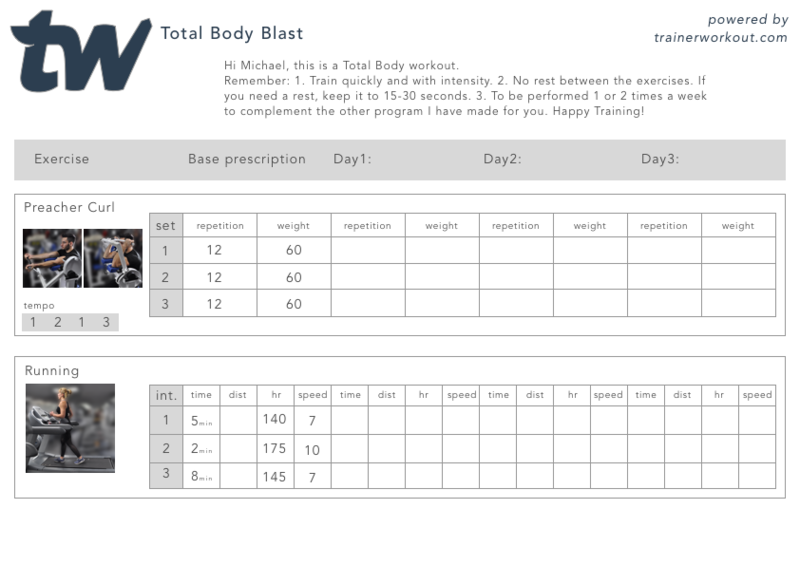 You can easily share your workout right from the workout builder tool.